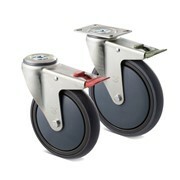 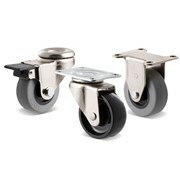 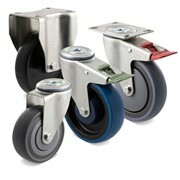 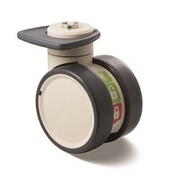 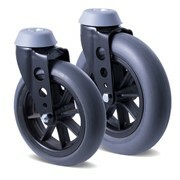 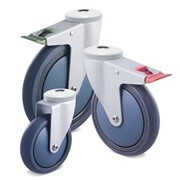 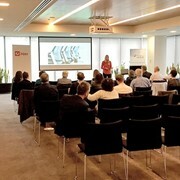 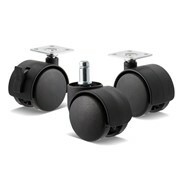 Move safely with self-aligning castors for Automated Guided Vehicle (AGV) carts and trolleys. 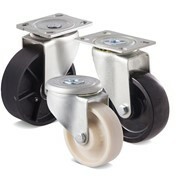 Based on our M and O Series castors, self-aligning castors are fitted with a device that automatically aligns the castor with the trolley. 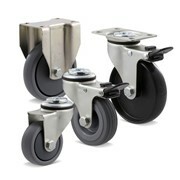 Designed for AGV delivery carts, these castors can carry up to 500 kg each and are available in stainless steel or mild steel finishes. 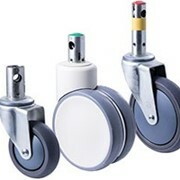 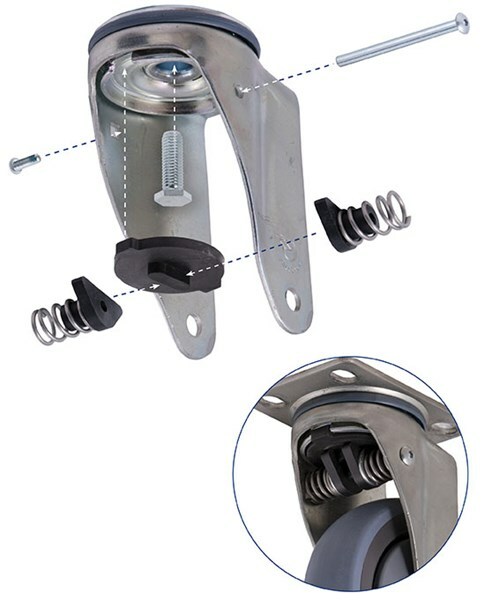 Fitted to your existing carts and trolleys, the self-aligning ensures that when an AGV picks up your cart, the castors stay in line with the AGV and do not swivel, thereby avoiding accidental contact with walls, pedestrians or the AGV itself. 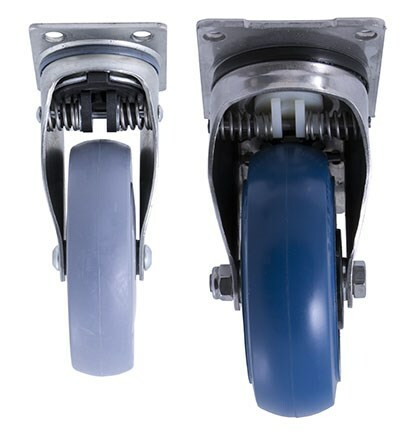 If your organisation utilises AGVs only in pedestrian-free areas, and then switch to towing the cart with an electric tug in pedestrian areas, our self-aligning direction lock castors ensure that your cart can be towed safely, without it swerving from side to side.